I have a distinct penchant for historical novels set in Italy, especially those written by Sarah Dunant. Therefore I was immediately attracted by the blurb for this, Roberta Rich’s debut, set in Venice in the 16th century. It was a quick, easy read but Ms Dunant has nothing to fear – her crown remains unchallenged. It is 1575 and Venetian Jewess and midwife, Hannah Levi is much in demand for her birthing skills, particularly since she has devised a special instrument for assisting difficult births. It is forbidden for Jews to attend to the medical needs of Christians but Hannah makes an exception for the Conte di Padovani’s wife – if the latter’s baby dies, Hannah risks the wrath of the Christian authorities falling on all who reside in the Jewish ghetto but if it survives, she will be able to afford the ransom to release her merchant husband, Issac, from captivity in Malta. The novel moves between 16th century Venice and Malta, detailing the twists and turns of Hannah and Issac’s efforts to be reunited. The author’s research is evident in the recreation of Renaissance Venice, warts and all…rotting vegetables, vermin etc…do not expect lives of the rich and famous or modesty in actions and language although occasionally the language veers on the anachronistic, clunky side. Of the two settings, I preferred Venice although you don’t get a feel for wider society beyond Hannah’s limited experience other than vague mutterings about the plague and how it affected Venice. The Maltese location with hapless Issac taking centre stage has few saving graces apart from Sister Assunta, the zealous local nun, bent on converting all non-Christians. 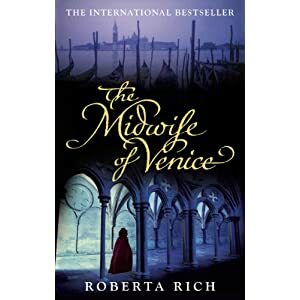 Overall I quite liked The Midwife of Venice in that it was like an historical soap opera, easygoing and not too intellectually demanding although I’m not too sure if historical-lite was the author’s intended target? However I would have really liked more development of the main characters which could easily be accommodated by the excision of Issac – well, he didn’t do much for me… Overall, an okay read but I don’t think I will be rushing out to read more from this author. What better way to brighten up a dreary, rainy Autumn day than a bit of armchair travel, the opportunity to transport yourself to warmer, sunnier climes. In this respect Journey to the South ticks all the right boxes. 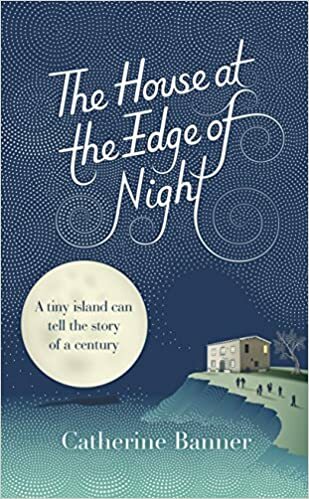 This is the third of Annie Hawes’ travel memoirs set in Italy, the first two focus on her life in Liguria as an English “blow-in” trying to fit into Italian rural life. At this stage she is engaged to Ciccio di Gilio who lives in Liguria but is considered Calabrian as his family hail from Calabria, the toe on the boot of Italy. This volume details their trip to the deepest South to seek out the de Gilio roots, meet up with extended family and get a feel for Ciccio’s “homeland”. What ensues is an, at times, comic and frequently chaotic pilgrimage as they are accompanied by Ciccio’s mother, sister and nephew, all of whom have very different impressions/preconceptions of Calabria. I love all things Italian (despite being a pale, freckled Celt) and this book is an absolute joy, giving the reader an insight into the idiosyncrasies of life in the Mezzogiorno. Calabria is like another country when compared with the “sophisticated” North. We hear of dodgy dealings, sinister Mafioso intrigue, government scams but you really feel that the Calabresi are true survivors with a strength of character stemming from the constant struggle to subsist despite an inhospitable environment, lack of industry, extreme poverty and a seemingly indifferent government. However it’s not all doom and gloom as Annie Hawes is a very gifted writer and an excellent people watcher. Ciccio’s Calabrian relations literally jump from the page and the descriptions of mealtimes are mouthwatering (although I think I’ll pass on the goat’s head…) Some travel writers can occasionally drift into condescending mode, reducing people to stereotypes and presenting a series of anecdotes but Annie paints a very vivid picture with well rounded characters. In just 350 pages you experience a real flavour of the South complete with traditions, agriculture, festivals, superstitions, local dialect as well as a potted history going right back to the Normans – it’s a veritable feast for the senses and the mind – enjoy this taste of Italy! If you are interested in reading further about Southern Italy, I would highly recommend Christ Stopped at Eboli, an autobiographical novel by Carlo Levi whose anti-fascist stance led to his being banished to Lucania (now known as Basilicata) for a year in 1935.